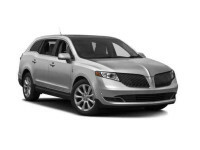 So, you’re wanting to lease a Lincoln, eh? 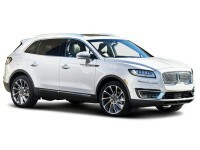 If so, you’re in luck, because we have every single new model Lincoln makes. The Continental Sedan. 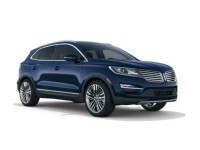 The MKC SUV. The MKS Sedan. The MKT Wagon. The MKX SUV. 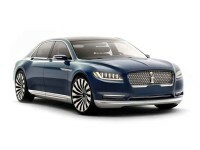 The MKZ Hybrid. 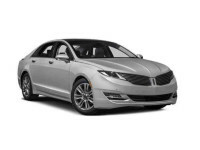 The MKZ Sedan. 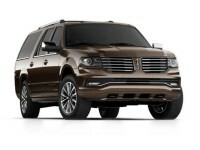 The Navigator SUV. All of them! 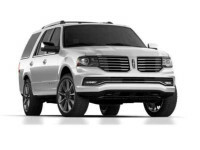 Or, if you’re not sold yet on getting a Lincoln and want to shop around some, we also have for you each and every new model vehicle made by Acura, Audi, BMW, Buick, Cadillac, Chevrolet, Chrysler, Dodge, Ford, GMC, Honda, Hyundai, Infiniti, Jaguar, Jeep, Kia, Land Rover, Lexus, Maserati, Mazda, Mercedes-Benz, MINI, Mitsubishi, Nissan, Porsche, Ram, Subaru, Smart, Toyota, Volkswagen, and Volvo, too! When it comes to offering options, we challenge you to find a leasing company with an inventory even close to ours. And we challenge you, too, to find one that offers prices that are lower than ours. We’re able to have the lowest prices around because of a big difference between us and our competitors: instead of having a physical car lot, we have a virtual one. Our car lot sits on the internet and is always open, ready for you to explore. Having a virtual instead of a physical lot saves us tons in overhead expenses. We don’t have to pay for property costs, property taxes, property insurance, utilities, and for other things that having a physical lot entails. A low overhead means low leasing prices. We just don’t have high costs to pass down to our customers. There’s another great thing about having a virtual car lot instead of a physical one: when you lease with us, you don’t have to make arrangements to get to some car lot somewhere. You won’t have to bum rides, call cabs – or even leave your home. Instead, you stay home, where you’re always cozy, turn on your computer, and surf to our website – any time of the day or night – to check out our inventory and find that perfect car, SUV, van, or truck for you. Won’t it be nice to be able to take all the time you want checking out our cars without some salesman following you around? With no one trying to pressure you? No one rushing you along? And if you have any questions, all you have to do is call us up and ask! Just as we’re always there for you if you have any questions, we’re also there for you when the time comes to think about financing. A lot of people hate thinking about the financing end of things. Some people are even a little afraid of it. But we’ll walk you right through it all, making everything as easy on you as we possibly can, even down to handling most of the paperwork so you won’t have to mess with it. We’ll work directly with banks and other lenders to get you a great deal, not settling for anything less than low interest rates, low monthly payments, and terms you’ll find fair and reasonable. Some of you out there reading this might be thinking that your credit is so bad you couldn’t possible qualify for financing. If you’re one of those people, don’t give up! We’ve often been able to get financing for people with not-so-great credit ratings, even people who’d already tried before to get financing, but were let down by some of our competitors. So don’t count yourself out! Talk to us and let’s see if we can help! After the financing’s worked out, you get to drive your new vehicle. We want that day to be a happy one for you! We don’t want you to have to worry about how you’ll arrange to go pick it up, too! So instead of you worrying, we’ll bring your new ride right to your home, office, or most anyplace else you’d like that day. We want to spoil you with great service so you’ll always consider us your leasing agency and will recommend us to your friends and family! If you have any questions for us, ask away by calling 754-702-2323! We look forward to meeting you!